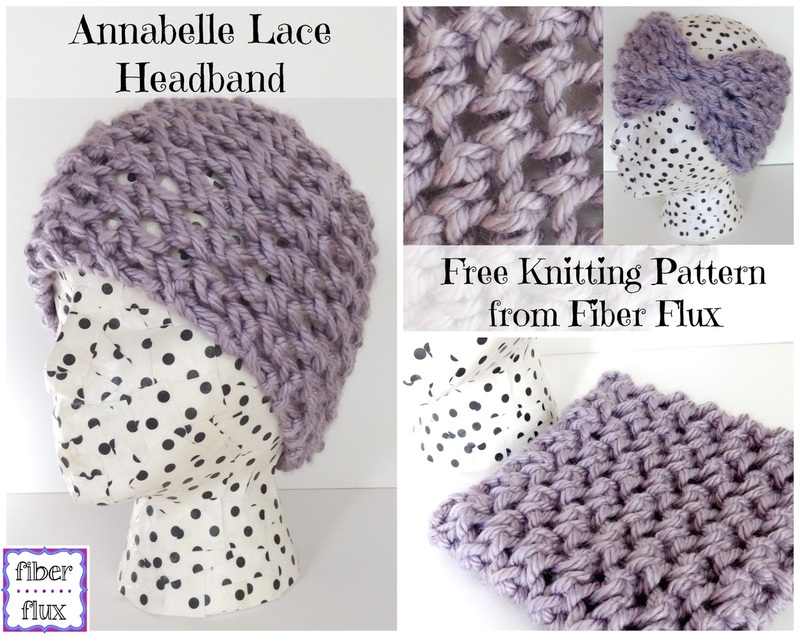 Fiber Flux: Free Knitting Pattern: Annabelle Lace Headband! Free Knitting Pattern: Annabelle Lace Headband! The Annabelle Lace Headband is a pretty, cozy, and easy to knit headband that is perfect for cold weather. This headband is very wide so it is extra warm. Headbands are perfect if you wear your hair up and you don't want a hat to get in the way. 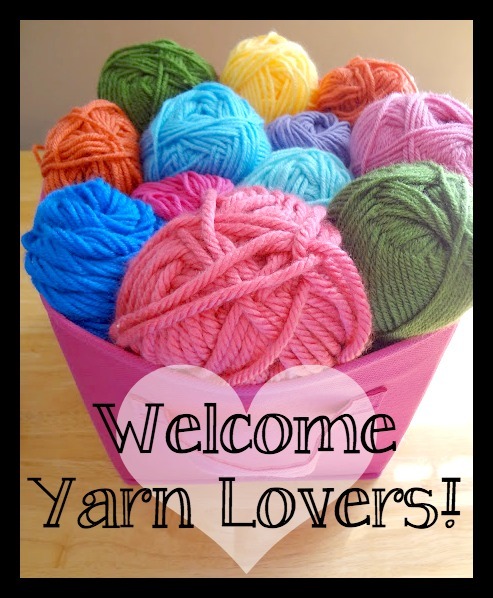 If you are new to knitting, this is a super easy project too. 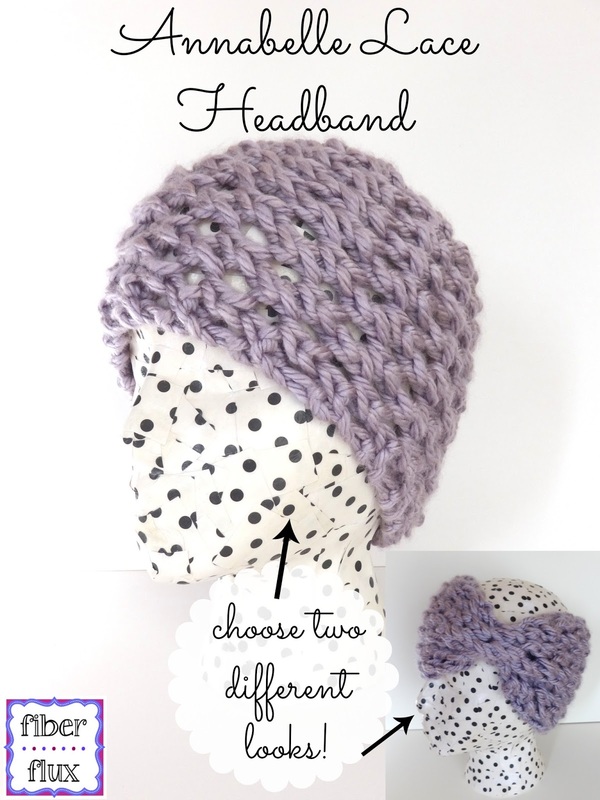 Be sure to check out below how to cinch your headband too for a totally different look! 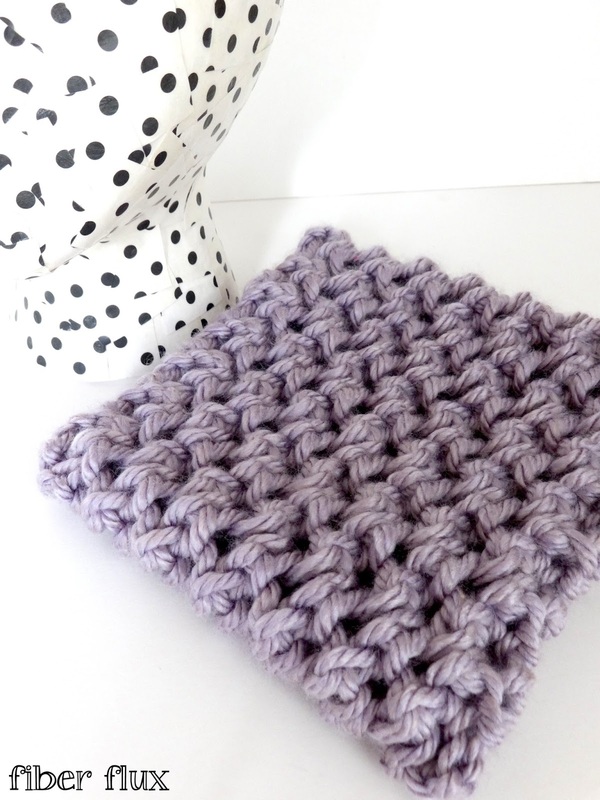 Repeat rows 1 and 2 until headband is 16 inches long or desired length. Break yarn, fasten off, and use one of the yarn tails to seam the headband together with a tapestry needle. 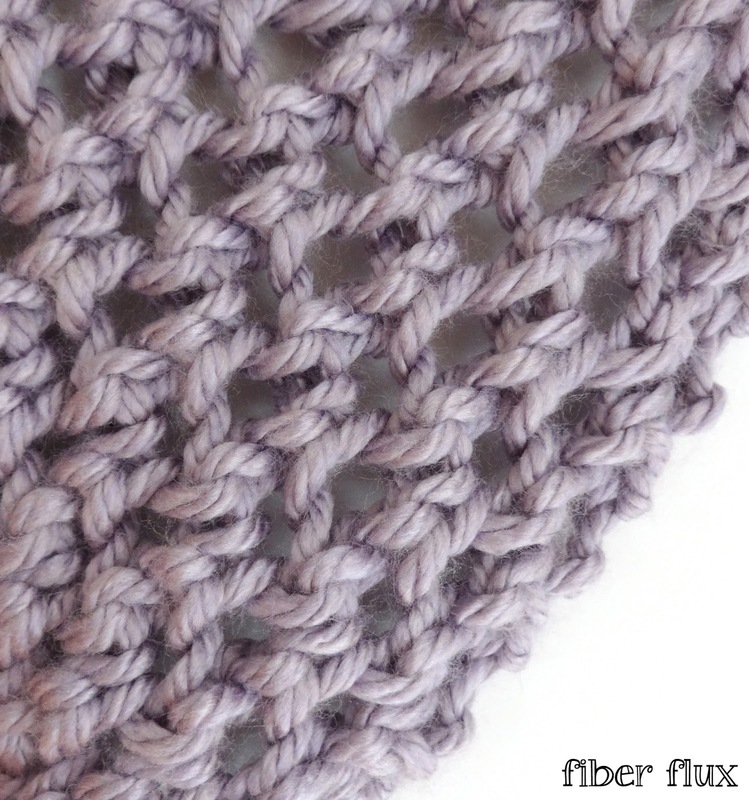 I used the whip stitch for a neat and invisible seam. To "cinch" your headband, take a piece of matching yarn approximately 18-24 inches long. Turn the headband inside out and weave the yarn across. Pull ends together and tie together very tightly. Tie in a secure knot and weave in ends. Check out this video too on how to make the "cinch" part! Love the Annabelle Lace Headband....but I only know how to crochet. 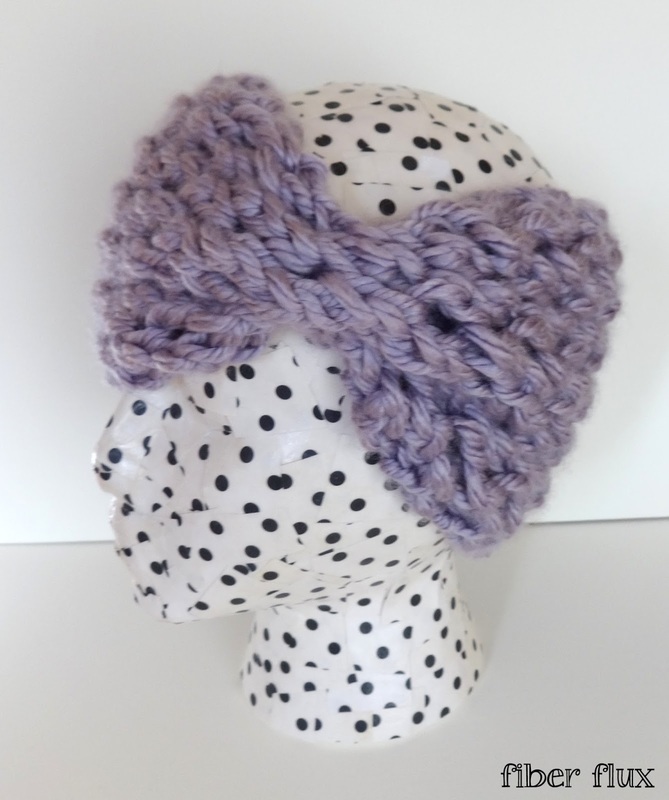 Could you do a Crochet Headband Ear Warmer with a Twist and with a Video when you get time? I'll check back and sending my "Thank You" for all your wonderful Tutorials! Would love to see a crochet pattern of this if possible. I too only crochet. I was very impress with how clear and understandable this was. Loved the headband.